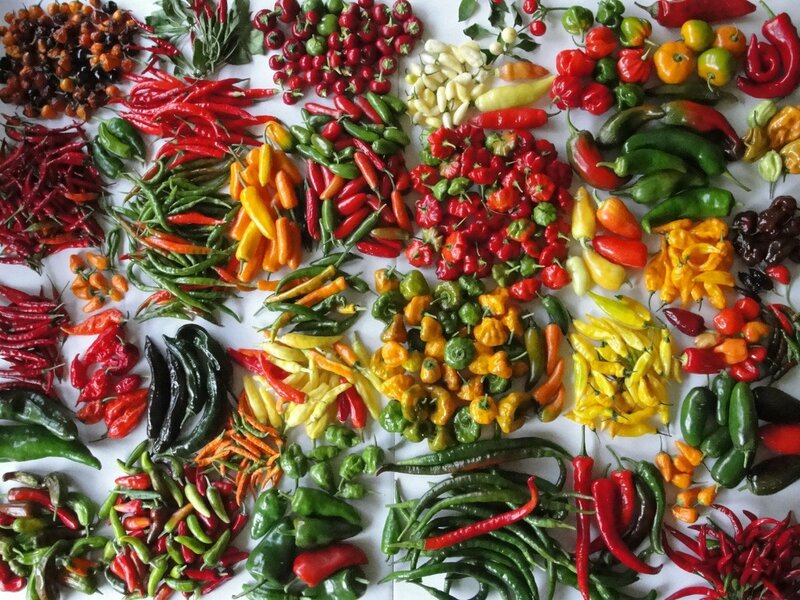 This variety is a New Mexico favorite, these peppers hold the world record for the longest pepper, as some have been reported to grow up to 42" long. In my hands I have seen some grow as long as my forearm. 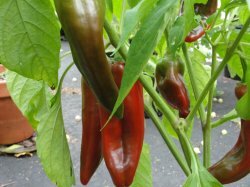 These peppers turn from green to red and have some heat, but not too much making them great for grilling and eating as roasted peppers.